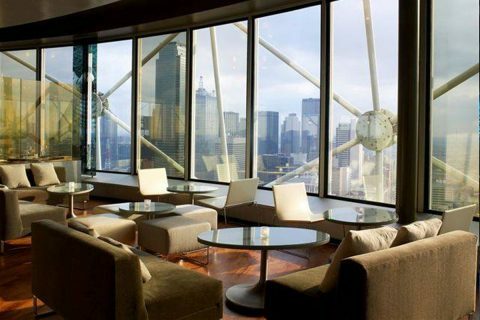 Reunion Tower restaurants offer quick bites and fine dining with the best views in Dallas. 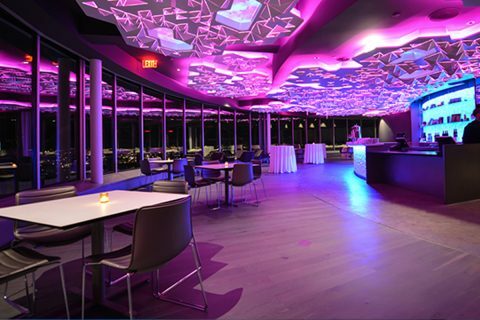 Complete your GeO-Deck visit with a stop at Cloud Nine Cafe, where you can enjoy casual food and drinks with a revolving view! Cloud Nine Cafe offers a hot food menu on Saturday and Sunday, and light food and drinks on the GeO-Deck Monday – Friday. 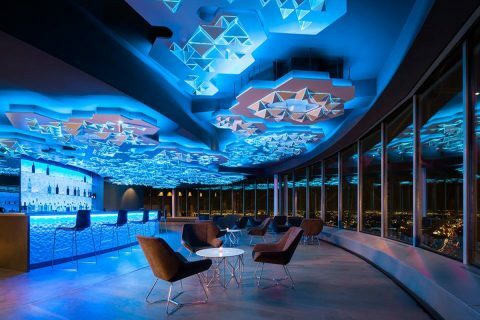 Dallas’ horizon brightens with Wolfgang Puck’s Five Sixty atop Reunion Tower, Downtown’s iconic 560-foot landmark with its distinctive glowing ball. Upon ascending 50 stories, diners depart from the elevator at the center of the master chef’s restaurant.